Old cast Chubb round door under floor safe, locked out near to Donington in Lincolnshire. Long lost keys, many years since it was used so took a while to free up the mechanism. Lock picked open and changed to put this lovely retro safe back into service. New safe keys in Lincolnshire. Chubb Elements “Air” home safe picked open in Derby. Missing safe keys locked the owner out of this domestic safe. Opened without drilling or damage the lock was changed with two new keys. Professional safe cracker. Safe opening without drilling or damage. Lovely old Chubb cast under floor safe opened near to Scarborough. Cast iron round door, they don’t make them like this anymore. There was actually a small amount of old coins inside. Long lost safe keys. Yorkshire safe cracking. Chubb data safe dialled open after code to combination lock forgotten. No drilling, no damage, no change to it’s fire rating. Professional safe cracking service, lost numbers found, faulty safes opened, lost safe keys replaced, locks changed after keys stolen. Chubb Data Safe with long lost keys. We opened this locked fireproof safe in Tamworth by generating new keys to the lock. No drilling, no damage, no change to the fire rating or integrity. Professional locksmiths and safe engineers. Safe cracking across the Midlands. Chubb Castelle safe opening in Nottingham. Locked out on La Gard time delay which stopped working after it was washed. Please remember, electronic locks don’t like water and key locks don’t like superglue. Professional safe engineers can save your safe. Safe cracking without damage. New safe locks from stock. Chubb Data safe with long lost keys picked open in Nottingham. No drilling needed, no damage done and no change to it’s fire rating. The company needed to check the records inside to catalogue for GDPR compliance. 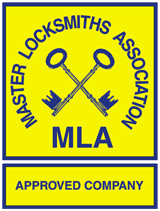 Professional safe engineers Alan Morgan Master Locksmiths. Safes opened, serviced, rekeyed.